Brian Brady was looking for a new way to motivate his sales staff. The owner of six Wireless Zone franchises in Virginia had already tried running sales contests with many different incentives. But it didn’t matter if he was offering gift cards or cruise vacations — the contests always seemed to have the same effects on his employees. So he wanted to try a new type of motivational tool. That’s when he found FantasySalesTeam. 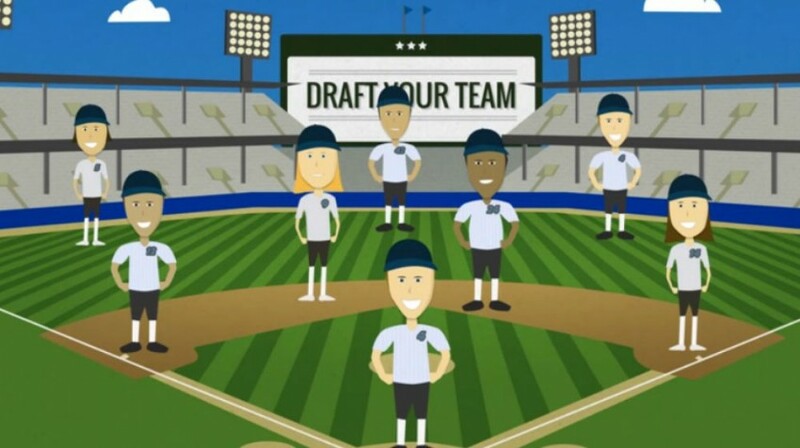 The competition system allows employees to build teams of different salespeople throughout the company, much like fantasy sports teams. The employees can then trade and update their teams each week. For the competition, the company basically put people at different football positions based on their sales records. The top tier sales people were quarterbacks. After that were the running backs and wide receivers. And lower producing salespeople were kickers. The system offers incentives for employees to grow their sales numbers and encourage one another, while still giving some of the lower producing staff members a chance to win. For the company’s first competition, Brady said the top prize went to a middle-of-the-road salesman. But they also offered an “MVP” prize to the person with the most overall sales. And the system seemed to work, at least for Brady’s team. He saw sales increase by 176 percent after the company’s first Fantasy Sales Team competition last year. Brady says that things have gone back to normal for the most part after the company’s initial competition. But he said it definitely helped people learn how to sell certain products, particularly the Verizon Edge plan, which many staff members didn’t initially want to focus on because it was difficult to explain and sell. He also plans to run more similar competitions in the future, with the next one being more of a baseball theme.